We regularly tell our clients that it’s important to first not focus on the metrics you should keep an eye on, but rather focus on the questions they need to answer. This is one of the most important steps to take when prioritizing your e-commerce metrics. This list contains ten essential metrics you should measure and why. These metrics are also involved with more advanced calculations. So it’s important to understand how they play a bigger part in telling the big picture. This is one of the most basic metrics, but it answers the question, “How many people found this source of content interesting enough to click on it and learn more?” You will typically see clicks calculated as a top-of-funnel metric. As you run your analysis, make sure you extrapolate deeper meaning using clicks. Make sure you have multiple sources tracking clicks and make sure your data is accurate. While impressions are often considered less important by those focused on conversions and revenue, they are still essential for top-of-funnel awareness. With that said, not all impressions are equal. Impressions from targeted audiences, re-marketing, or even offline impressions can be much more valuable than others. Impressions can create brand lift and word-of-mouth benefits. When analyzing impressions, marketers typically use CPM (cost per one thousand impressions) to understand their cost associated with this reach. Staying top-of-mind through scaling impressions may be something to consider once your bottom-of-funnel metrics are optimized, but nevertheless, we suggest you don’t downplay the importance of quality impressions as a brand play. Fortunately, it’s now possible to combine impression counts across all your platforms to get a true total. Our dashboards many times show total impressions over time next to sales over time to see if this exposure is actually influencing sales or not. These metrics are most powerful when viewed together. If you notice a high bounce rate, meaning that users left your site quickly, check the layout and content on your landing pages and consider what may have caused people to not stick around. If users stay on your site for a long period of time reading and viewing pages, this is an indicator that your website is probably well organized and provides valuable content. Hopefully, your conversion numbers are high as well. At this point, if a conversion, i.e. a purchase, download, or signup still isn’t happening, you should evaluate your calls to action (CTA). Before changing your content consider you might also not be targetting the right users to your site. We recommend you segment your traffic to see if there is a particular channel or source that is driving unusually high or low bounce rate or time on site. A true cornerstone metric on any e-commerce site is transactions. Whether you are using Google Analytics E-commerce or another solution like Shopify, it’s your duty to know what your revenue numbers look like and why. Transactions are the foundation to all your sales metrics. These include ARR, MRR, total revenue, avg. transaction size, number of transactions, and many others. You should look for trends among the data and ask yourself things like, “Were there any particularly high-volume days? Can I attribute meaning to these days and understand why they were successful?” Knowing these patterns can help you take corrective action and, for example, run promotions to maximize your revenue when you anticipate slower days or double down on ad spend when your customers shop most. Another question to ask yourself is, “which channels are bringing in the highest paying customers?” From there, follow the money: If you know Facebook is bringing in $100 per customer and Google Ads is bringing in $300 per customer, then you can strategize where to invest the most time, effort, and money. Look for ways to replicate your most profitable transaction trends. The amount of people who purchase or convert when visiting your website is the conversion rate. What kind of traffic does your e-commerce site get? 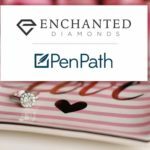 When people visit your site, do they purchase? Much like the other metrics in this list, you need to think about your conversion rate as it applies to other insights. You should see how first time visitors convert compared to returning visitors. When people come from paid channels, how do they convert in comparison with those who come from organic channels? Is it worth investing in paid channels? A good conversion rate depends on what kind of product you sell or industry you’re in. Do research to better understand how you’re performing compared to your industry average. This measurement matters because it can help you set a limit on how much you are willing to spend to gain a new customer. Calculate your CPA across various channels/campaigns/ads so you can strategize where and what you are marketing. Allocate your budget more efficiently with a solid understanding of your CPA to get the biggest bang for your buck. The best way to optimize this is to continually test and adjust. Adespresso is a great tool for A/B testing your Google and Facebook ads. Marketing spend is part of your CPA, but we wanted to include it as a standalone item on our list because most marketers don’t take this metric far enough. If you are investing dollars to drive new business, you should know where your dollars are bringing in the biggest return. Marketers understand they need to track Facebook or Google spend, but what about the agency that’s helping you with your SEO? What about the software you’re using for email automation? Shouldn’t those be part of your marketing spend calculations? If so they should be included with your other calculations like ROI. How much is one customer really worth to you? How much revenue or time should you invest in acquiring a new customer? What do they represent in total sales? Knowing if they return to make subsequent purchases is telling. To take this one step further, calculate LTV as it relates to each channel, source, or medium. For example, if you know the average LTV for a customer originating on Facebook is worth three times the LTV of customers who originate elsewhere, you now have valuable data to help you allocate your budgets and time accordingly. You won’t know where to optimize your budget unless you are tracking these types of insights. One of the most obvious yet difficult things to track is ROAS. To get the most meaning from your advertising data, it is wise to focus on ROAS to have a clear indicator on which ads and campaigns are bringing in sales and which are not. Having a way to measure the effectiveness of your efforts creates the opportunity for testing and refining. The reason why ROAS can be difficult to track is because you’re limited to the attribution models available. 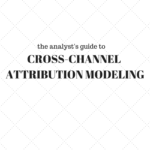 Attribution modeling would require it’s own article, but essentially this helps you credit each channel based on when the customer converted. For instance, if you are giving 100% credit to the last click that drove the sale, you may not appropriately fund the assisting channels that might be helping you drive conversions. Finally, we arrive at the metric that every revenue focused marketer lives by. Much like ROAS, ROI is the way non-marketing professionals love to quantify marketing efforts and justify the marketing team’s budget allocation. This metric has traditionally been difficult to calculate because there can be many variables on both the investment (cost) side and the profit side. Hopefully, these 10 essential e-commerce metrics help you tell a better story that shows how effective your marketing efforts are and what you need to do next. By following these metrics and integrating them into your marketing dashboards you will be able to tell a more holistic story. Use them to answer questions. Guide your efforts and craft your next campaign launch by leading with data. Don’t be the marketer that hopes and prays it all goes well. After all, gathering data serves no purpose unless it is then used to inform decisions.